I see you did not know Fr. Valery. More's the pity... You must imagine it said with love, warmth, and a sparkle in the eye, rather than... however you were imagining it. With the blessings of technology also come the curses. I should have known this about the home. On the other side, it is so easy for me as a male to tell a female how to dress. Because I do not wear a full dress at sundays in church and even if I should have. Maybe the best thing would be tonight to pray for the converts that do face this problem and ask The Lord to guide them. He can. Nothing is impossible for Him. You know, I have noticed a lot of the nonchalance associated with to wear a head covering or not to wear a head covering is justified with the "changing of the times"...might I pose the question, who is changing the times? For Our Father is an unchanging Holy God. Is it not true that this world is in the delusions of the Devil himself? I've witnessed first hand that while things may seem simple and pure of heart and intention, those are quite often the most unnoticed of Satan's schemes to break our Divine Ascent toward the Kingdom of Heaven. But being a convert in the makings, I speak from a fool's perspective and would love gentle, educated feedback. So, I'm a tool of the Devil, who is responsible for the changing times. Did they have computers in Moses' day? I really did not mean anything cruel intentioned. I am asking as a convert for gentle educated opinions. I did not say you were a tool of the Devil's. I am just pointing out that in scripture it says very definitively one thing, and it does not say "according to the custom of the times"
I really wish people weren't so harsh on here. I just want to learn more. I am also not saying all things of this day in age are work of he Devil. They seem to be able to be tools of his if they become a distraction from the one True purpose of life. But that is probably discussion for a different thread. I did not live back in Moses`days. Sure, i`m old, a fool and not perfect either. But for the second time: this was not meant to upset you or anyone, it was just a fact that I see so often. Speaking with people online is different than having a coffee with them and talk face to face. Sorry for causing any trouble and make anyone think, that I call them a tool for anything. It is not my intension at all. Forgive me if I am speaking out of place. I have not been on the site in a while but there has always been some wonderful, knowledgeable, and warm hearted folks here that have helped me understand the Orthodox faith in a kind, patient, and understanding way. As you are a 'newbie' I hope you find this web sight beneficial for your growth and knowledge of Orthodoxy. Perhaps you might be best off at first staying on the Convert Boards. I believe he was respoding to my above post unfortunately, which was not cruel intentioned either. Perhaps you might be best off at first staying on the Convert Boards. I thought I was on the convert Boards? The Convert Issues board is supposed to be a safe environment for converts to ask genuine questions without fear of derision. Is that so hard? Yes and quite honestly, as of lately it has made me feel not so welcome around here anymore. Being reading The Orthodox Way by Bishop Kallistos Ware, I look for more of that brother and sisterhood that he expresses we all should be in here. But please..do not misunderstand me, there are many great people around here, but there are also a lot of anger, hate and frustration. being able to distinguish between [t]radition and [T]radition is a very valid concern. I am not qualified to speak on the matter authoritatively. But I do read a lot, and listen a lot, and it seems to me that the idea of headcoverings is possibly one that was borne out of specific cultural contexts which weighted the practice with theological significance. When the cultural context is gone, the mandate follows. Your point about who changes the times is a good one. But it, too, does not have an easy answer. Because all of us can agree that SOME changes in society are evil, while others are simply historical and cultural inevitabilities. As Brio said, you are on the internet right now. There is no scriptural mandate for anything on the internet specifically, though the spirit of the scriptures and the Tradition can certainly be applied to the Internet in a general sense. You don't want to go down the road of ignoring historical context or it's going to get very difficult for you. According to the sermon I once heard delivered by Fr. Valery Lukianov, perhaps the best reason for women covering their heads at church is that it trims 30 minutes off the time it takes to get ready for church, thereby increasing the likelihood that a woman may attend the whole Divine Liturgy. Not really since it's probably true in most cases. Not in my case though since I spent a lot more time choocing proper sunday clothes for myself than my former girfriend did for choocing for herself. I wonder why we aren't together anymore. Derision? She, in my opinion, derided people who aren't as adherent to this practice as herself. I thought I was allowed to present a point of view too, because some of us don't appreciate the idea that those who don't wear coverings are socially susceptible to evil influences. If she makes a post, can't others respond to it? The practice of hair scarves for women isn't followed where I live. Hasn't been for a long time. If she wants to wear the covering, she can. But I disagreed with her reasoning on why some people don't wear it. Thought that might be relevant. Okay I was not claiming that that is why some people do not where it. I was just posting a thought. I am certainly not saying that I know better than others or that how I do things is better than anyone else. I really thought that forming a brotherhood and sisterhood would be sweet, but thus far on this site I have discovered a lot of sarcasm, which is really saddening. Here I was posting a genuine concern and question about the world in general and you did not need to take it so harshly. I was having a conversation with the father at the Orthodox Church I attend and we were speaking on how the culture is taking the Church away from it's ancient teachings and rituals, trying to accommodate "the changing times" which got me thinking about this topic when I stumbled upon the thread. I feel it is a valid concern not to be taken personally, rather noted. I appreciate the recognition of my concerns. I am rather curious about the Scripture which could be applied to the internet, though that is not on topic with the thread. If the headdress thing is one of cultural times, would it not have been included? Scripture does not say "according to cultural tradition" which is my main point. I don't know, I find this intriguing not just simply due to to wear or not to wear, but for the larger implications of my statement as well. Well, any scriptures that exhort us to be pure, loving, gentle, etc., can be applied to any interpersonal conduct, including the Web. Also, you won't find "according to cultural tradition" anywhere in scripture, but it's implicit and necessarily is informed by cultural tradition. Many biblical scholars recognize that it's possible, likely even, that each of the 4 Gospel accounts were written with an intended audience in mind. That is why we see, for example, that John's gospel is so heavily concerned with appealing - subtly and not so subtly - to a Jewish audience, concerned with showing Jesus as the Messiah. Culture matters. Meaning, language, and praxis grow up together with a culture. For 16 years, I was mocked and told that I was being legalistic for wearing a headcovering only to receive Holy Communion. Note: I was not wearing this mantilla during the entire Divine Liturgy as the priest told me that there were some feminists present in the church who would give me dirty looks should I dare to wear it for the entire Divine Liturgy or worse gossip about me while the sermon was being delivered. This did occur in the OCA, in the GOARCH, and in the Antiochian parishes that I visited because most of the women in those parishes were very concerned with their hair-do. Thus, to wear a scarf would positively flatten all the work they had done to prepare their hair for the Divine Liturgy. Oh, vanity of vanity. Thus, I finally left the worldwide Orthodox jurisdictions and joined the traditional jurisdiction known as Genuine Church of Greece (GOC) under Kallinikos, where we pray the Canon of Holy Communion before coming to the Church. We simply do not have time to curl, spray, and prepare our hair for all the world to see. We come to church to worship and give thanks (Eucharist) to Christ, our Lord, God, and Savior. I experienced anger, hate, and frustration while I was a catechumen too. It was like the feminist people in the parish felt threatened by me because I was willing to listen to the priest and be obedient. They, on the other hand, would not obey him, but instead would publicly deride the priest at every opportunity. In fact, these so-called "Orthodox Christians" kicked out their devout priests from the parish because they did not like to be told that they should frequent the sacrament of Holy Confession, where they feared a justified reprimand from the priest. I admire your pious faith sister. I hate that you had to go into schism because of what you encountered, we need people like you in our churches to straighten this stuff out and rid the church of evil modernist ideas! In regards to headcoverings, why does everyone seem to forget St. Paul's last words in regards to the issue? "But if anyone seems to be contentious, we have no such custom, nor do the churches of God." I don't entirely understand what he means, but it seems to be indicating that if contention is brought due to the headcoverings issue, then the Churches should individually judge when and when not to require a woman to wear a headcovering. In which case, I'd say, why are headcoverings such a big issue to some people? Why not just allow the individual jurisdictions handle it in a way they see fit for their parishioners? Your post made me think. A good deal too and I feel so sad for the priest and other priests that has to go through similar responses. I am so glad that my parish is not like that, even if I sometimes notices that the russian speakers are a bit sceptic, but they have seen my face so many times now, that it has changed to curiousness. Hopefully soon, we will talk to each other instead. Here, the parishoners are also being adviced to frequently use the sacrament of Holy confession, which I do look forward to as well. So in that way, I suppose one fastly can be labeled as legalistic. But that is just fine. I can live with it. Seeing that your current warning is precisely for exceeding the bounds of what is appropriate for you, a non-Orthodox Christian, to post on this Convert Issues section, I would think you'd be more careful to not get into any arguments with anyone here. What you are doing here on this thread borders on more of the same conduct that got you warned before, and if it continues, you will likely draw for yourself some time on post moderation. Again, referring back to the recently published board guidelines, only discussion without debate or polemics is permitted on Convert Issues, and only from the Orthodox point of view. Here you are permitted to clarify misconceptions about your faith, but you are not permitted to preach your faith or argue against the Orthodox faith. If you continue with your growing hostility on this section, you will be placed on post moderation, and your offending posts will be moved off this thread to a more appropriate location. I hope I'm making myself clear. If not, please send Thomas, me, or any of the moderators a PM asking for clarification. I am honestly asking, not trolling: If women covering their hair is not theologically relevant anymore, then is it not permissible that men might wear a hat to church, as that also originally had theological grounding? Little kid, when is -10 oC inside the Church? Yes, I suppose. Are you sayng that Scripture does or does not allow for men to wear hats to church? Because Corinthians (the same scripture referring to women) says that if a man were to cover his head it would be a dishonor. I would argue that it was cultural (not theological) then, and it is so today as well. And since it is culturally unacceptable, at least in conservative circles, I would think the prohibition of hats (except funny ones on clergy) would stand. Perhaps it falls under the category of submitting ot "every ordinance of man" in 1 Pet. 2:13-17? I dunno, just thinking out loud. I think I've made three posts on the subject in the last 10 years. If some Ethiopian Orthodox men still cover their heads when receiving Communion, then why do women somehow feel they can exempt themselves? In fact, why are these holy customs dying out today? In the end times, it is mentioned that good will be considered "bad," and that bad will be considered "good." It seems that we have already reached that tipping point where those who want to observe high fashions accuse those few women who want to observe the holy tradition of covering their heads and bodies of being legalistic and proud. Now who is judging who? We are just having a discussion. It seems like the minority of Orthodox Christians who are observing the holy tradition of wearing headcoverings, wearing long modest clothing that covers one's body, coming to Great Vespers on Saturday evening, going regularly to Holy Confession, saying the Canon of Communion, and even observing the fasts and feasts are often accused of being "legalists," "proud," and "more holy than the Greek Patriarch." Listen, those of us who want to follow the ancient and Holy Traditions of Holy Orthodoxy should be allowed to do so, but no, the minimalists will not leave us alone. Why cannot they mind their own business? Back on topic. Let us forgive and love one another. Let us dwell in unity and not discourage others from observing the Holy Traditions. I've already made the commitment to do all of those things Maria stated and live ultra "hyperdox" when I become an adult; the only reason I don't right now is because I'm still at the mercy of a heterodox family. You can't really observe all of the fasts when you eat what your mom cooks. Actually, it is best to honor your Mom and Dad and to eat and use the things they provide with thanksgiving. In this way, they may convert to Orthodoxy. Then you will have to be a good example, so that they do not become "hyperdox.."
How quickly we go off topic and take a meaningful discussion into the area of innuendo, attack, and allow Satan to allow anger and sarcasm to lead us off topic. I apologize for not intervening earlier yesterday but I was sick and did not go on-line to nip this in the bud. Thank you brother Peter for doing so . With this statement let us return to Christian and charitable discussion of this issue without violating the purpose of the Convert Issues Forum. Any further off topic or un-Christian behavior will force me to close this topic. aren't you kind of assuming that women who don't wear a headcovering are also concerned with "the latest fashions"? I see women at my church who do neither. 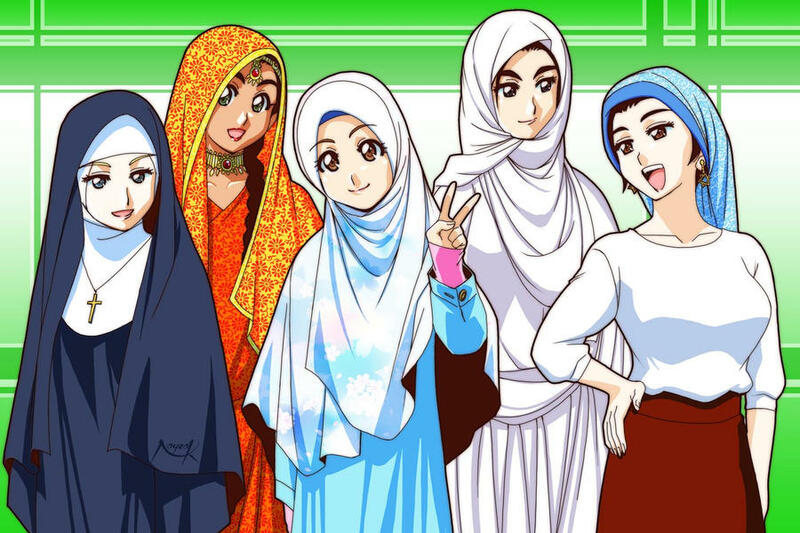 They don't wear a headcovering, yet they wear their hair plain and modest on Sundays. Also, people being late for church: am I the only one who arrives on time to an empty church and leaves barely being able to get out the door? Our liturgy goes for three hours and people don't really start arriving until at least an hour into it. It seems to be a uniquely U.S thing. I've never seen the issue of head coverings come up here in Australia and the Greeks in my family and at church don't make an issue of it either. It's ironic that something like a head covering - which occurred in a cultural context - can be appropriated in good faith yet belief in The Evil Eye, which exists in every Orthodox country, is considered pagan. It would be nice if there was more respect for the cultures in which Orthodoxy developed in Western countries rather than Westerners picking what is Real Orthodoxy and what is not.